In the heart of the old town… a place that has been well known and much appreciated by the people of Montpellier for over 50 years. Nestled in an unexpected patch of greenery, overlooked by the bell tower of the cathedral Saint-Pierre. Coté Restaurant,our Chef, Fabrice AMAR, a “disciple” of Escoffier, will delight you with a Mediterranean and refined cuisine. Coté Bistrot, the chef draws his inspiration from the 5 continents, in order to create a varied cuisine where dishes can either be shared among friends or served individually in a convivial atmosphere. 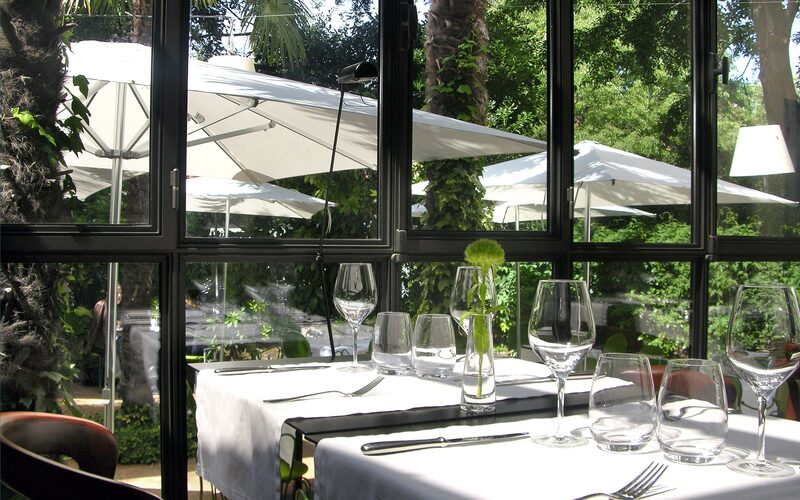 Whatever your choice, you can enjoy your meal on our shady terrace on sunny days.